On my first research trip to North Carolina, I went to the Camden County Register of Deeds and searched for one surname—Bass. I am a Bass and I had a list of verified Bass ancestors so it was the natural thing for a new genealogist to do. As I processed the information from the deeds I found (i.e. grantees, grantors, witnesses, and adjoining landowners), certain people were noted as neighbors over and over again. I soon realized I needed to explore these recurring surnames. In Camden County’s earliest record collections (late 1700s), the family that always appeared with the Basses was the Halls. William Bass’ (b. 1755) first land purchase in Camden County, made on April 10, 1801, was for a 125-acre parcel adjoining David Hall’s (b. 1760) land. This was the first time these two men were referenced in the same document but their families continued to live together for many decades. They were 2 of only 30 free people of color counted in Camden County during the 1790 Federal Census (most of which were not heads of their own households as William and David were). I expanded my search to include the Halls and, to my surprise, I found twice as many deeds for Halls as Basses. The records revealed that an Absalom Hall predated David Hall in the area. Absalom and his wife Rachel (Nickens) Hall sold a 50-acre parcel (inherited by Rachel from her father Richard Nickens) in 1780. David Hall made his first Camden County land purchase the following year with an 80-acre parcel in 1781. Were these Basses and Halls related? These discoveries led me to search for potential connections between the Basses and the Halls. Free people of color generally moved in groups and, compared to the surrounding counties in North Carolina, Camden had a relatively small community. I began by using Paul Heinegg’s abstracts to outline the Hall family. These relationships were used only as guides as I continued to collect my own records. It was immediately apparent that the Basses and Halls were closely connected so I decided to develop a matrix to integrate data for several generations (i.e. cohorts born around 1700, 1725, 1750, and 1775). Three distinct locations emerged through this process. These Basses and Halls originated in Norfolk, VA but had connections to Bertie (later Hertford), NC through family and many neighbors. These two families also had connections in Pasquotank (later Camden) and Currituck, NC. These relationships made it clear that the children of Joseph and Margaret Hall were a bridge between Norfolk, VA and Pasquotank (later Camden) and Currituck, NC. Three of these children had relationships of specific genealogical interest. Thomas Hall seems to have had strong connections to Pasquotank (later Camden), NC. As previously discussed, his son David was one of the earliest free people of color in Camden County and his son, Lemuel, was a landowner in Pasquotank County. Lemuel’s land bordered Great Flatty Creek in the lower end of the county near Weeksville which was a trading community located at the end of the road from Norfolk to/from Nixonton. Map of Big Flatty Creek in Lower Pasquotank County. Notice the recurrence of common Norfolk County road names (e.g. Deep Creek Road and Gaulberry Road). Joseph Hall’s land was located in Great Bridge (eastern Norfolk County) which was the northern end of the road to/from Nixonton that ended here. Absalom Hall’s marriage to Rachel Nickens is a pivotal part of this story because much of the land the Halls and Basses owned in Camden County appears to have originally been owned by her father. Though land descriptions were frequently based on transient natural features, Richard Nickens’ Pasquotank County land deeds and Currituck County will left enough information to see a direct comparison. On March 26, 1751, Richard Nickens purchased a 70-acre parcel on the south side of the Great Swamp near the Great Swamp Bridge (Pasquotank County, Deed Book B, Page 144). He went on to purchase several parcels of adjoining land extending into Currituck County (Currituck County, Deed Book 2, Pages 44, 135, 318). In his 1774 will, Richard Nickens left his daughters Leah Rael and Margaret Nickens a parcel of land called “Overtons” (indicating that the property was formerly owned by an Overton). In David Hall’s 1781 land purchase (Deed Book B, Page 174) and William Bass’ 1801 land purchase (Deed Book I, Page 148) we see similar references to Thomas Overton’s land on the edge of the swamp. At the time this land was in Pasquotank County but when the lines changed in 1777 it became a part of Camden County. In Heinegg’s abstracts, David Hall is a nephew of Absalom and Rachel Hall but their closeness in Camden County records leads me to wonder if their was more to their relationship. After Absalom and Rachel Hall sold Richard Nickens’ land in 1780, Absalom remained in Camden County through at least 1782 when he was taxed on 1 horse and 10 cattle yet no land. In the same 1782 Tax List, David Hall was taxed on 80 acres and 2 cattle. At this time, Absalom Hall and David Hall were the only Halls in Camden County. The Halls and Basses remained on this land for over a century and some of members of my family (Basses) continue to own land on the south side of the Great Dismal Swamp near River Bridge today. See the Basses of the Great Dismal map to see where people lived over time. Of all the Halls of interest, Naomi Hall may be the most important to this story. She appears to have been the wife of William Bass (b. 1725) of Norfolk County and they are believed to have been the parents of James, Joseph, Thomas, William, and Willis Bass. Although they have been studied by a number of great historians and anthropologists, the Norfolk County Basses repeatedly used many of the same names. The Camden County Basses, just 20 miles away, have been left out of a number of studies that included the Norfolk Basses (e.g. Bass Families of the South) likely due to the inability of researchers to place them in the broader family structure. Within this group there were several longstanding conflations that are now being resolved by emerging records that enable the differentiation of individuals. In my previous post on the Nansemond of the Great Dismal, I briefly discussed the relationship between William Bass and Willis Bass (whose marriage bonds were both recorded in Norfolk County, VA on 18 December 1786). William Bass married Ann (Nancy) Sammon (likely of the Sammon(s) family of Lower Norfolk and Princess Anne Counties) with Willis Bass as his surety and Willis Bass married Jemima Nickens (of the same Nickens family as Richard Nickens) with James Nickens as his surety. Although Willis Bass and Jemima Nickens’ children were mentioned in Albert Bell’s Bass Families of the South, it does not appear that he actually saw the original 1786 marriage bonds which explains why William Bass and Ann Sammon’s marriage was not in his book (or any other publications). This record came to light this year thanks to the extraordinarily dedicated researchers at the Family Research Society of Northeastern North Carolina. I have also written about the life of Joseph Bass in Camden County. He left few records behind but his proximity to William Bass and the relationships between their children may provide new information as my research continues. Thomas Bass (which was also the name of William Bass’ son) may have been taxed in Camden County in 1815 but due to the lack of an associated age it is impossible to tell with this record. James Bass, who remained in Norfolk County, ultimately relocated to Bedford County, TN with many other members of the same Hall family that lived with the Bass family in Norfolk County, VA and Camden County, NC. In 1832, James appeared before the court to apply for a pension for his service in the Revolutionary War. Are you a Bass, Hall, or Nickens cousin? In genealogy, discovery is rarely linear and it can be difficult to write about the process without worrying about sharing incomplete—or worse, incorrect—relationships. 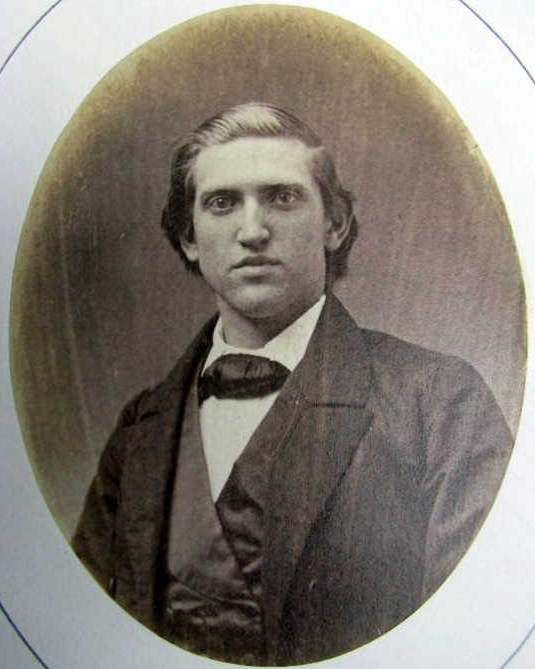 The story of the Basses, Halls, and Nickens is one of three closely interconnected families whose relationships influenced their migration across several counties and states. I am actively collecting additional records related to this story but I thought it was worth sharing an overview of what I have today. If you believe you may be related to any of the people in this post I would love to hear from you. You may also be interested in Warren Milteer, Jr.’s new novel, “Hertford County, North Carolina’s Free People of Color and Their Descendants,” which documents the lives of many Bass, Hall, and Nickens descendants who settled in Hertford (formerly Bertie) county. These are people with common origins who dispersed in different directions yet shared many of the same experiences in American history. In addition to this book, Milteer has also published a number of insightful articles (some of which have been referenced in other posts). I think this was great research Nikki. I am very familiar with Willis Bass and this information helped me with who his parents were, Naomi and William. I was familiar with Willis marrying Jemima Nickens. Its very interesting that James came to Tennessee, evidently when my Nickens came to Tennessee also in the Revolutionary period. So this gets me closer to having a good idea of who Francis Bass’s parents are. She married a Nickens also, which was William Nickens. William also had a brother named James Nickens that came down with him from Hertford County. I was also told that William and James’s father was a Richard Nickens. Thanks for the info, you have been a great help. Maybe eventually Francis will appear and I will find out who her parents were. There are still alot of Bass’s in Wilson County, TN. My great-grandmother, Lilly Bass, goes directly back to these same Bass families. Nikki, Willis and Jemima were my 4 times great grandparents. Their son, William, is my line. William married Jerusha Weaver and their daughter, Mary Ellen, was my great grandmother. Mary Ellen married James Edward Bond, Jr and they had about ten children one of which was my grandmother, Ellen Gertrude born in 1874 on Bass land (Gallberry Road) in Norfolk County. Ellen Gertrude married, George Washington Scott in Norfolk County and their son, George Edward was my father. I have been following your research with great enthusiasm and enjoyment. I hope that at some point you will stumble upon and write about my line of Weavers as I know nothing of them. Jerusha died fairly early and my great grandmother, Mary Ellen, was raised by WIilliam’s second wife, Elizabeth. Apparently they were close as Mary Ellen signed Elizabeth’s death information as her daughter. I always look forward to receiving your post! Alice, thank you so much for visiting! One of my greatest hopes in building this site was to find relatives who could benefit from my research. I would love to write a post about the Weavers and I have actually already begun to explore their relationship with the Basses in my post on Pioneer Life. It is so interesting that you mentioned Gallberry Road because (for me) that road name has become synonymous with Bass property. I have traced Basses living on Gallberry Roads in Norfolk, Camden, Pasquotank, and Halifax counties. Thank you again for sharing and for the new motivation to write about the Weavers! Hello Nikki, I know the article about the Weavers are going to be interesting. They have intertwined into the family (Hall) and various families of northeastern North Carolina. Thanks so much for your connection with the families of Hertford county. I am of Nickens/Weaver decent. Eddie and Warren are my beloved cousins. I do research of the Henry and Jane NIckens side. I live in Woodbridge, Va. Would love to talk to you. Here is my email address. chefliselcb@outlook.com. I would love any info you have on Absolam Hall. My husband is a direct descendant through his son David. hi nikki, I am a direst descendant of the halls , my mother’s maiden name is hall her grandfather was Louis Thomas hall, his father was William h hall, his father was Thomas Jefferson hall and his father was David hall and his parents were Absalom and rachael, I have been told we are related to Jesse and Frank James, teddy Roosevelt and Eleanor Roosevelt-roosevelt and Spanish American war hero Andrew summers rowan, he took the message to Garcia. thank you my name is Kelly Jean forrest and my paternal geneology of the deforest family would absolutely blow your mind. and there are some people in my hall family that dont believe the halls were free black people back then as we have all become white since then. Hello Nikki , thank you so much for the post. 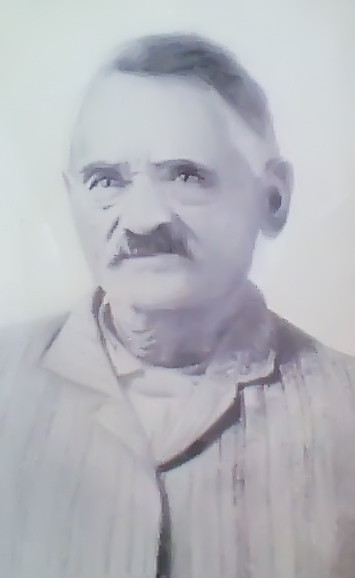 I am a direct descendant of Mary Polly I have information on titles and deeds from her son Jacob my ggggfather through his son Henry Roundtree… Mary conceived children number a Wilder or Wildo Mitchell gates county North Carolina. I look forward to future post and I would appreciate any information you could assist me with. Hi Nikki, Thanks so much for your posts, as it has unlocked several brick walls for me. In particular, that of daughter Rachel who married A. Hall. I too, am from this Magical line of the Nickens Family. Question, have you or anyone reading this taken the Ancestry DNA test? Not to question to validity of anyone, just to be used as a tool/aid in researching … when you do hit the brickwalls. I have several distant cousins that for the life of me, I can’t figure out where they fit in. My email is: candybrockett@gmail.com; would love to collaborate. I just had another look at this today. I realized that there is a Thomas Hall listed in the 1772 Norfolk tithables list for the Western Branch. Joseph and Naomi Bass, and Elizabeth and William Bass, are in the same list, as is my ancestor Thomas Collings.